“The Demag Mobile Cranes business has been part of our company for almost two decades and produces world class products,” said John L. Garrison, Terex chairman and CEO. Terex Corporation has announced that it has agreed to sell its Demag Mobile Cranes business to Tadano Ltd. for an enterprise value of approximately $215 million. The Demag Mobile Cranes business manufactures and sells all terrain cranes and large crawler cranes. Included in the transaction are the manufacturing facilities in Zweibrucken, Germany and multiple sales and service locations. The sale, which is subject to government regulatory approvals and other customary closing conditions, is targeted to close in mid-2019. "The Demag Mobile Cranes business has been part of our company for almost two decades and produces world class products," said John L. Garrison, Terex chairman and CEO. "The dedicated Demag Mobile Cranes team members have made significant contributions to Terex and to the crane industry. 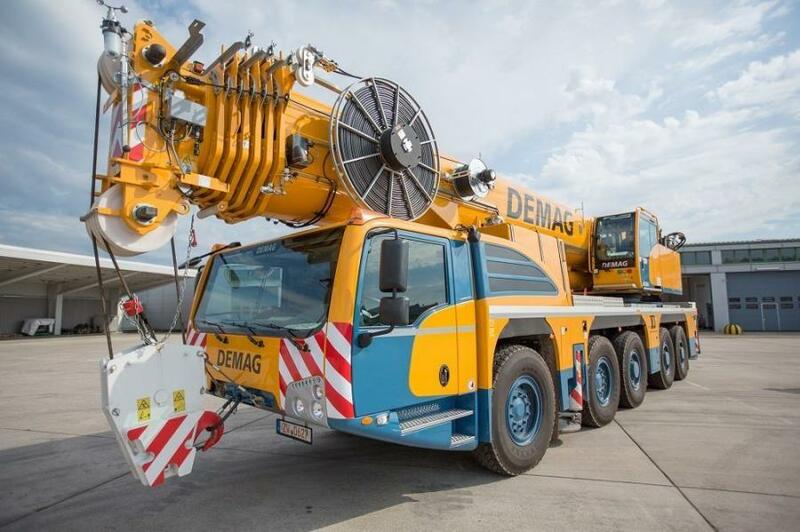 The sale is based on strong industrial logic, as the Demag Mobile Cranes business will become part of a global crane company with complementary products and capabilities. We are pleased to have entered into this agreement with Tadano, a strategic buyer who values the Demag Mobile Cranes brand, technology, distribution network and team members." Koichi Tadano, Tadano Ltd. representative director, president and CEO said, "This is a strategic acquisition that offers Tadano considerable scope for growth. The addition of the well-respected Demag brand of all terrain cranes and large crawler cranes range extends our product lines and options for customers. The addition of the Demag branded mobile crane product lines will enhance our global position in this segment. We believe that the Zweibrucken facilities and its global team members, as well as the current distribution partners, are valuable to the future success of the business." Garrison said, "In addition to selling the Demag Mobile Cranes business, Terex will exit the North American mobile crane product lines manufactured in our Oklahoma City facility. These changes will simplify our Oklahoma City operation, which will continue to produce telehandlers and re-manufactured units for our Aerial Work Platforms segment and various products for our Materials Processing segment. Although we are exiting the OKC-based mobile cranes products, we will continue to sell parts, and offer service and support to our customers." Terex will continue to manufacture Terex Utilities products at its Watertown, S.D., facilities. Terex will also continue to manufacture Terex Rough Terrain Cranes for the global market in Crespellano, Italy, Terex tower cranes in Fontanafredda, Italy, and Terex pick and carry cranes in Brisbane, Australia. "These are strong businesses that will continue to be an important part of Terex," said Garrison. "During these transitions, our global team is committed to providing exceptional service to all of our global customers, including those affected by these changes." Moelis & Company LLC acted as financial advisor to Terex on this transaction. Bryan Cave Leighton Paisner LLP acted as legal counsel to Terex on this transaction.